Citation: C N Trueman "The Aegean Campaign 1943"
In 1943, Winston Churchillordered that British forces capture the Aegean Islands in Greece. 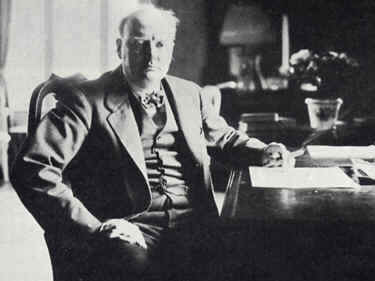 Churchill believed that control of the Aegean Islands would give the Allies greater control of the eastern Mediterranean and would also be a morale sapper to the Axis forces still based in the region. Senior British Army leaders were far from convinced that the islands needed to be occupied but such was the political clout Churchill had, that the plan was put into operation. By the time the campaign ended, it had proved itself to be a costly failure. Churchill believed that the campaign could only be carried out by Special Forces. He placed a very high premium on the work done by those small elite forces that operated behind enemy lines. Churchill saw the work of the Special Air Service(SAS) and the Long Range Desert Group (LRDG) as vital to the war effort – though his enthusiasm for them was not always shared by his senior army commanders. The attempt to take the Aegean Islands started in the autumn of 1943. America refused to take part in a full-scale invasion, as Roosevelt’s government believed that the islands had little strategic importance and that other campaigns that were ongoing deserved to have the resources that might have been sucked away by the Aegean campaign. Churchill, therefore, decided that in Operation Accolade, Britain would go it alone. The first attack was done by the Special Boat Squadron when three men from the SBS, led by Major Earl Jellicoe, parachuted into Rhodes. Their plan was to convince the Italian force that was on the island that their best interests lay in joining the side of the Allies. The Italian commander initially expressed his interest but then his doubts when he was informed that only a few hundred soldiers would land on the island to take on 6,000 German troops. While he was making his mind up, the Germans acted and arrested all the Italian soldiers on Rhodes. The commander was shot. The Germans took control of the biggest of the Aegean Islands, which greatly enlarged its presence in the area – the complete opposite of what Churchill had wanted to achieve. Rather than pull back and reassess the situation, Churchill declared that the men had to push on and seize other islands. The next target was Kos, though units from the SBS and the Parachute Regiment landed on a number of the numerous islands that exist in the region. In total, 5,000 men were on a large number of islands. However, supporting them was another issue. Both the Royal Navy and the RAF were meant to do this but it was an almost impossible mission. When it became clear what the British were attempting, Hitler made it known that the islands had to remain German at all costs. The RAF had huge difficulties supporting the men on the islands as only one Spitfiresquadron had been allocated for the whole region and was based on Kos. The Royal Navy was very vulnerable to air attacks. When the Germans retook Kos, the British lost (killed, wounded and captured) 680 soldiers and 500 RAF personnel. 3,500 Italian soldiers were also lost during the fighting. After the loss of Kos, the largest British base was on the island of Leros. Churchill sent a message to the men there urging them not to despair and to “cling on if you possibly can”. He also, once again, asked for American help. Roosevelt, again, refused. The head of the RAF in the region, Air Chief Marshal Arthur Tedder, felt he was “throwing good money after bad”. The Germans attacked Leros and after a five-day fight, the British and Italian forces on the island surrendered. Between them, they could put over 8,000 men into action. The Germans succeeded with just 2,000 men. The LRDG lost more men in the short Aegean campaign than in three years of fighting in North Africa. In total, the Royal Navy lost four cruisers, five destroyers, five minesweepers and two submarines. The RAF lost 113 aircraft. After the campaign was called off, Churchill privately blamed America for not helping out. However, to the Americans his Aegean campaign smacked too much of his ill-fated Dardanelle’s campaign in World War One.